Black yoga pants (and tops) have a more professional look to them than bright yoga pants do. I don’t stand out as much when I enter a company to teach office yoga at lunchtime. If I have an early morning private yoga client (i.e. 5am, 6am, etc.) I can easily get dressed in the dark (so not to disturb the household) and be fairly certain I look as polished as one possibly can when it’s o-dark-thirty. When traveling, it’s so much easier to pack as well as mix & match what’s in my suitcase when it’s all black. I even started adding grey in the last year or so. It’s a color right?!? Well, clearly it’s not since I’ve had several people over the last few years drop compliments (i.e. hints) how great the little bit of color every so often looks on me when it makes an appearance on my body. To add, an awesome private yoga client and a few sweet friends have been gifting me clothing & accessories the last few months that are all but black. Then to top it off, I chat with a Vedic Astrologer (fingers crossed my husband is not reading this post!) who tells me I need to wear more greens, light blues/turquoise and pinks. Simply put: Wearing black every day is like I’m in mourning. Colors have the potential to raise my vibration (and those around me). As quirky as this sounds I immediately reflect back on what interior designers and Feng Shui experts have known about color forever: it can impact everything from your mood and appetite to how you sleep and communicate. It’s a new year. 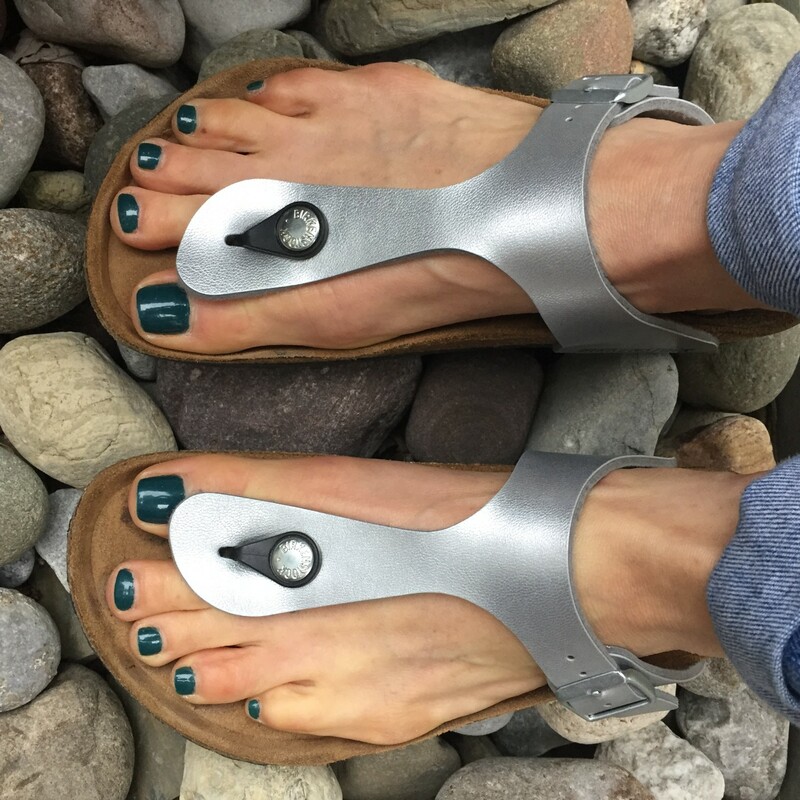 Time for a fresh start with lots of green ahead and clearly some new Birkenstocks. Who knew those would ever be <back> in style?!?! And if it doesn’t work out I can always fall back on my trusty black & grey and ditch the Birks.